Do you have a dark and dingy external surface that you think may need replacing because it’s just far too dirty and mould ridden, and almost to the brink of becoming a hazard? Think again and call the professionals at HYPACLEEN before you start ripping up that driveway or paving around the property. 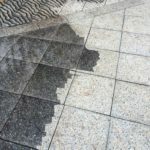 We can come in and high pressure clean your worst surfaces back to new, with only water in most circumstances. See the results for yourself. 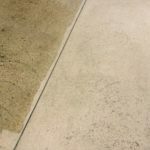 We even treat mould and algae and offer a sealing option to keep your surfaces looking their best for longer. 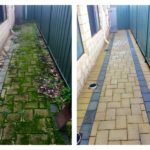 So whether it’s limestone riddled with mould or rust stains from bore water, or stained pavers, or even your newly laid expensive poured limestone driveway. Call HYPACLEEN and get a free quote to bring your hard surfaces back to their best.